Did you mean: faxly-medicine ? Dr. Jose Cilliani is a physician who treats kids and teens in Orange County and specializes in family medicine. He has privileges at CHOC Children's. 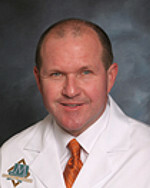 Dr. Brian Leish is a physician who treats kids and teens in South Orange County and specializes in family medicine. Dr. John Koumas is a physician who treats kids and teens in Orange County and specializes in family medicine. Dr. Angela Calton is a physician who treats kids and teens in Orange County and specializes in family medicine.